Learn about the revolutionary Japanese decluttering method made popular by Marie Kondo’s bestseller, The Life-Changing Magic of Tidying Up. 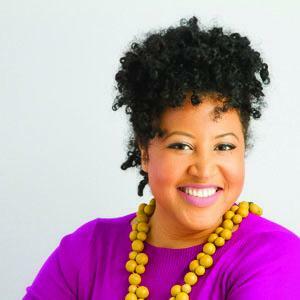 Chicago’s first certified KonMari Tidying Consultant, Kristyn Ivey of For the Love of Tidy, will share home organization tips that focus on what you keep (does it “spark joy?”), rather than what or how much you discard. This interactive workshop will help you lead with gratitude and become an extension of a home that you honor and respect. It includes an overview of KonMari fundamentals and practical decluttering tips that fall under five signature KonMari categories: Clothing, Books, Paper, Miscellaneous items, and Sentimental items. Enjoy a live demonstration of the signature KonMari Folding technique. We'll also discuss common myths and missteps as we address how to overcome your specific clutter challenges and barriers to success and true abundance.